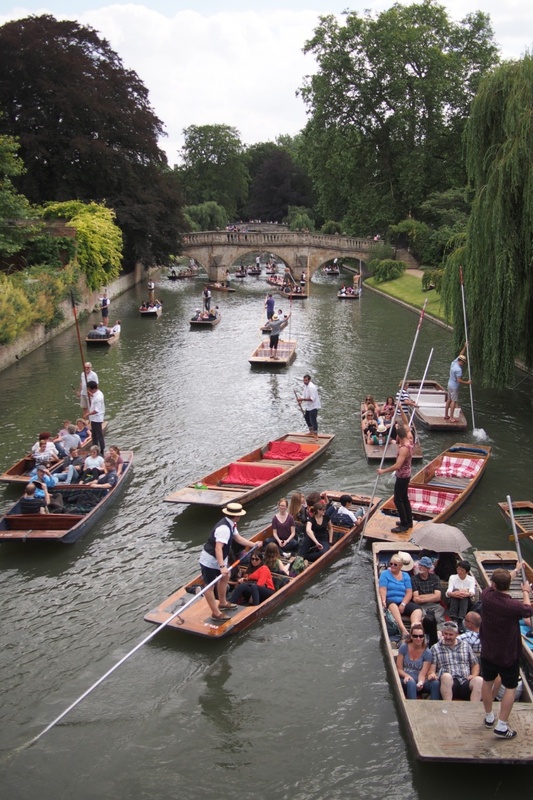 The prestigious university town of Cambridge oozes in solomn and historic academic achievement yet it’s River Cam, that runs through the heart of Cambridge and along the backs of the colleges, juxtoposes this with crowded punts, cheerful yells, clumsy feet and sunny hilarity. We spent two nights here, and loved every minute of it. 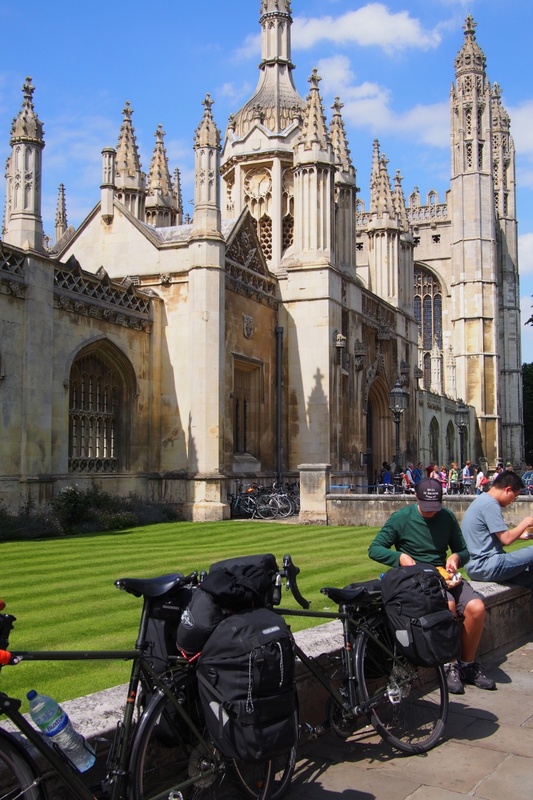 By bike, Cambridge is incredibly easy to get to, being relatively flat and surrounded by an extensive bike network. We came from St Ives along the Cambridgeshire Bus route which has a track almost four metres wide running parallel. 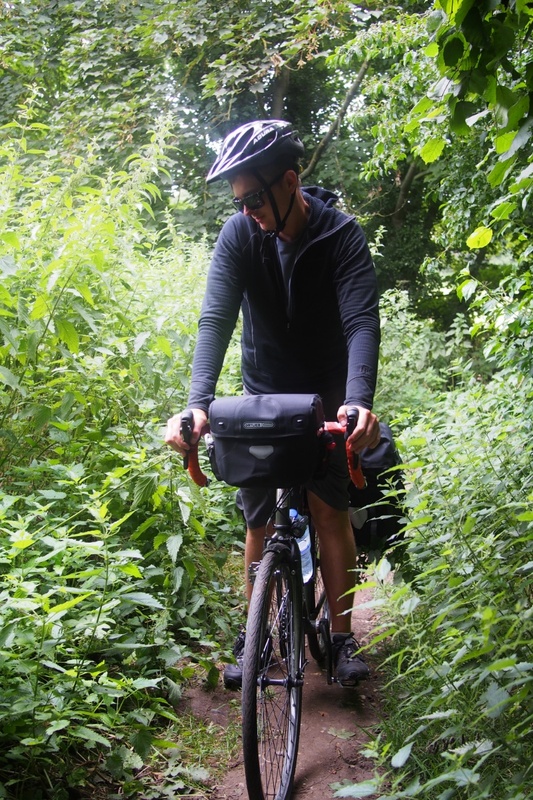 It was the best cycle path we had come across to date in England and we were sad it was so short. 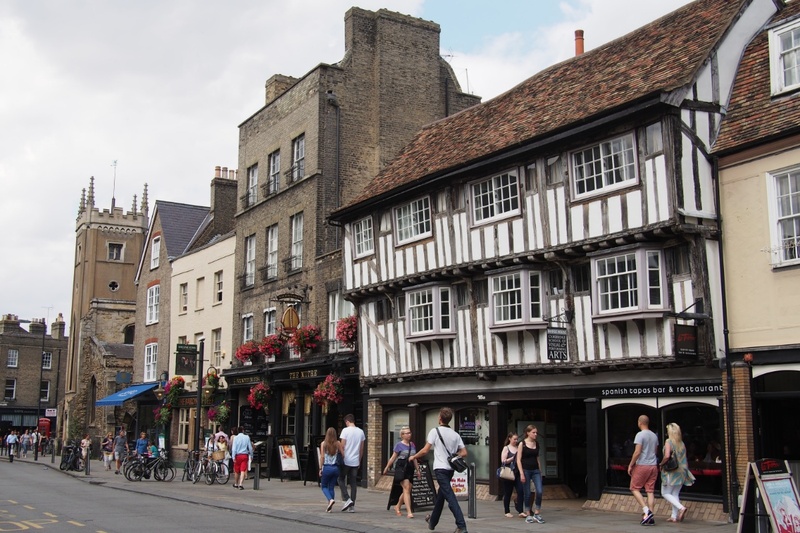 Cambridge, like it’s rival Oxford, did not disappoint with it’s bustling streetscape, old mixed with new, students, tourists and families. We found a great lunch spot, like so many others were doing, perched on a college wall with various picnic items. After spending a few hours pushing our bikes through the crowds and getting a feel for the layout we met our next Warmshowers host, Graham. He so kindly lent us the use of his backyard under the apple tree and his spare key so we could come and go as we please. Along with great conversation, he cooked us dinner, rode into town to show us the most secure place to leave our bikes and introduced us to his friends for a few rounds of beer at the pub. 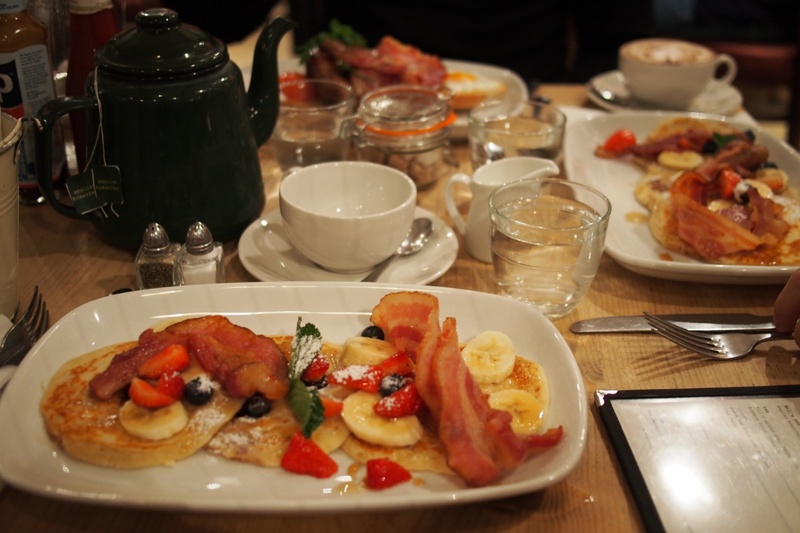 The next morning Graham took us to breakfast at Bill’s, piquing our interest with stories of his TransAmerica bike tour, helped along with pancakes, bacon and huge pots of tea. 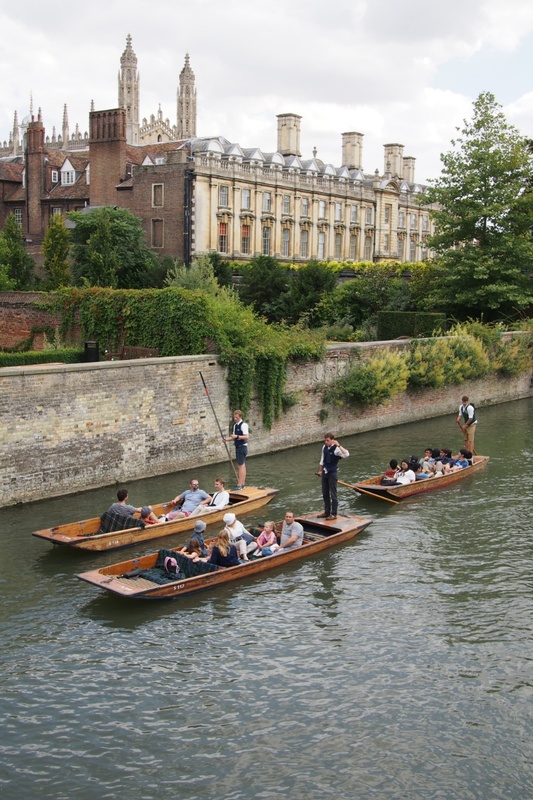 In my mind Cambridge looked like this; tranquil, poised and orderly. In reality there was a lot more giggles, bumps and shouting. We spent most of the day following the river and watching the action from the many bridges. Vowing to come back and visit soon we packed up to ride east, with the weather gods shining blue skies upon us. And abundant wild plum trees. Farm tracks between paddocks however came with stacks of stinging nettles, getting a little too close for comfort against Cleave’s bare legs! Those nettles can be a trap! Trap for Cleave, I was wearing leggings so I was laughing!